Here are a few examples of some stone blocking paint effects I have done over the years. 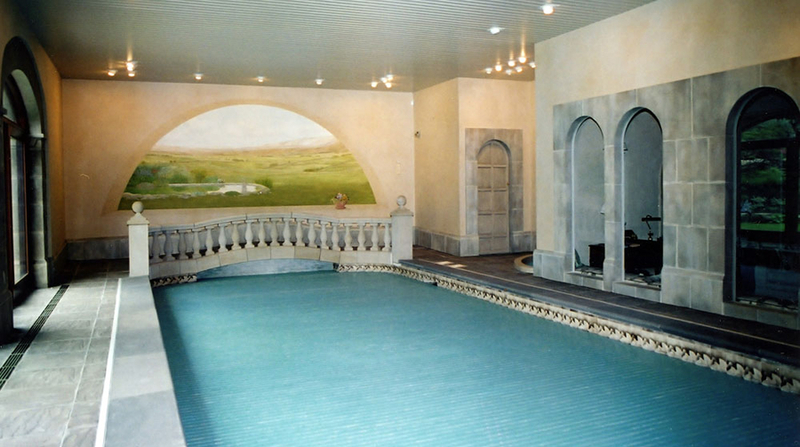 Another part of this swimming pool project was to create a stone blocking paint effect around the windows on the right, matching them to the real stone arches opposite. Creating a faux stone paint effect when there is also real stone in your line of sight is always a great challenge, and one that I love to take on. 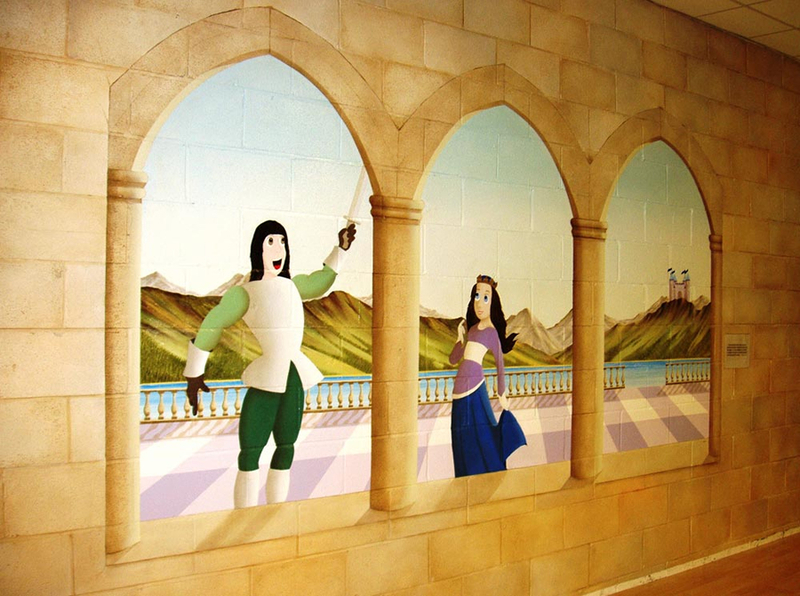 This mural (30’x15′) was painted in ‘Medieval Zone’ of ‘The Time Machine’, a children’s activity centre. Nothing says medieval better than faux stone effect walls alongside castles, princes and princesses. The stone paint effect I created framed the mural wonderfully and certainly created a fun medieval feel to this section of the centre. 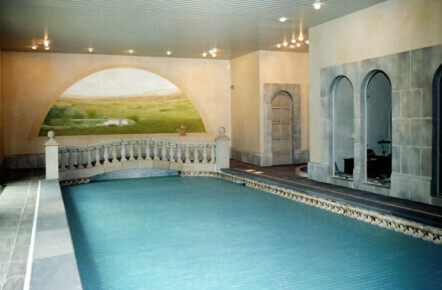 For this faux stone/stone blocking project I hand painted various walls in a barn conversion. The important elements to this project were ensuring that the colour, grouting and shading of the paint effect were just like the real stone of the barns exterior. 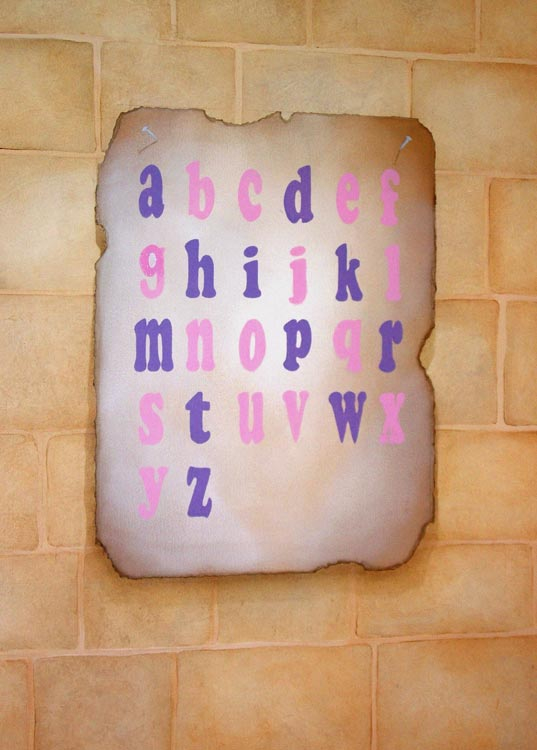 The barn’s interior also had some medieval themed décor so I painted a few trompe l’oeil parchments on one wall to help the young kids learn their alphabet and times tables. This picture shows part of a faux Yorkshire stone paint effect I created for a client. Any stone can be re-created from sandstone, Yorkstone and granite to limestone, soapstone and alabaster. 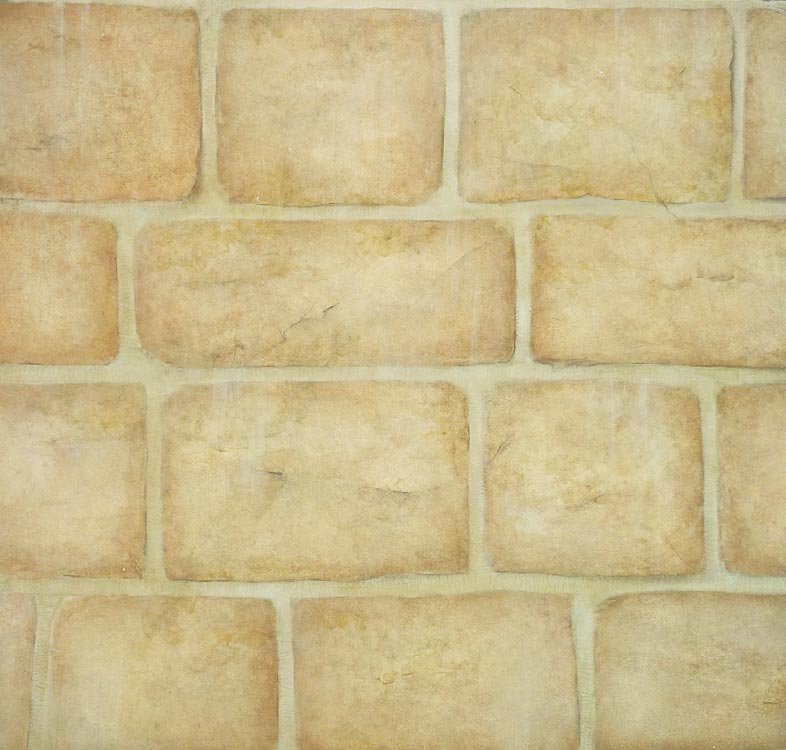 Please use the following links to see the main Faux Stone and Faux Brick page or view the Full Faux Stone/Brick Gallery.